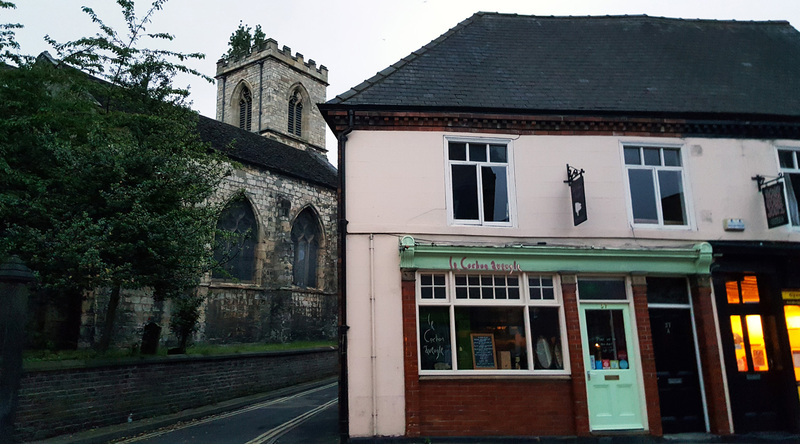 This was my very first trip to the beautiful city of York. …even though it was on an extremely soul destroying 4 day Electrical regulations course. I think that the most powerful sales pitch for me was discovering Chef Joshua Overingtons previous employers. The Waterside at Bray , Tom Kerridges Hand and flowers and Restaurant Ledoyen in Paris. 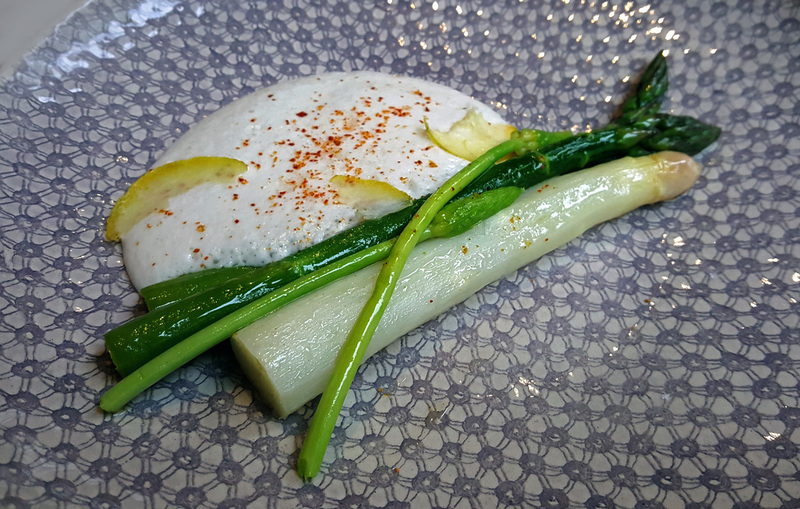 As soon as I read this I couldn`t book in quickly enough and after a full day of `Regs` questions this meal was the ultimate wind down for me. 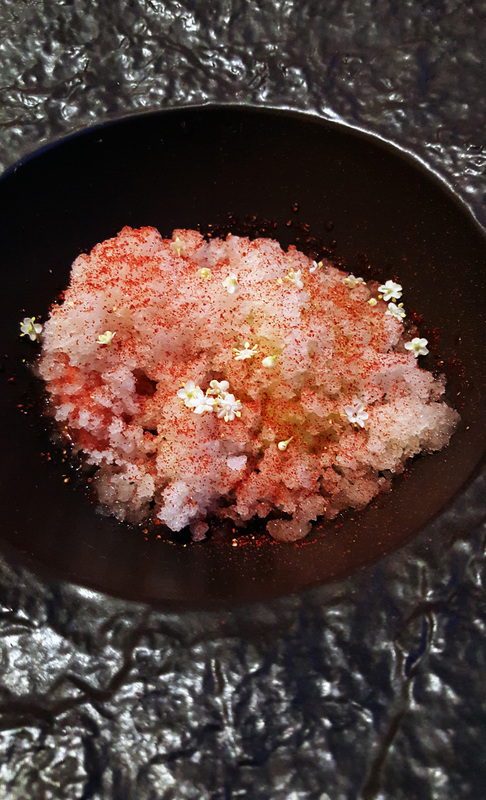 The tasting menu with accompanying wines at Restaurant – Le Cochon Aveugle. As you can see below , it`s pretty small and cosy inside. I counted 20 seats so the atmosphere is warm and service very personal and friendly. 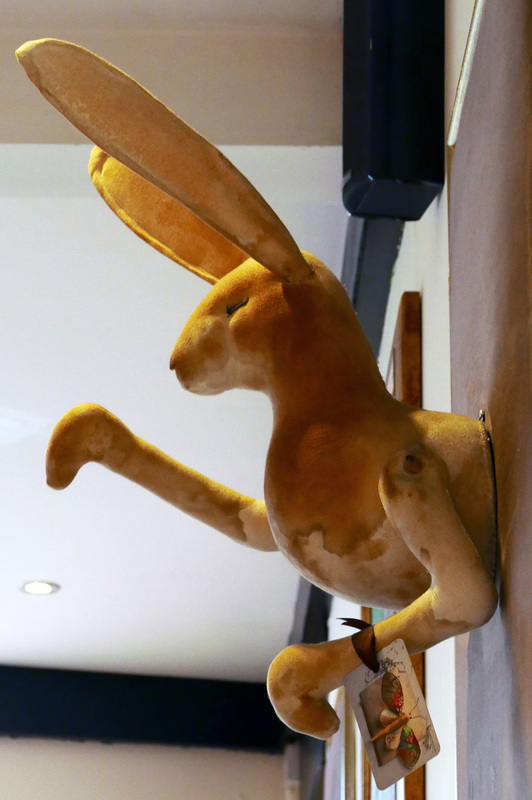 Ok so the décor is definitely strange…..I didn`t ask what the Hare was all about. The first of the bites appeared at the same time as a nice glass of sparkling vin jaune from the Jura. 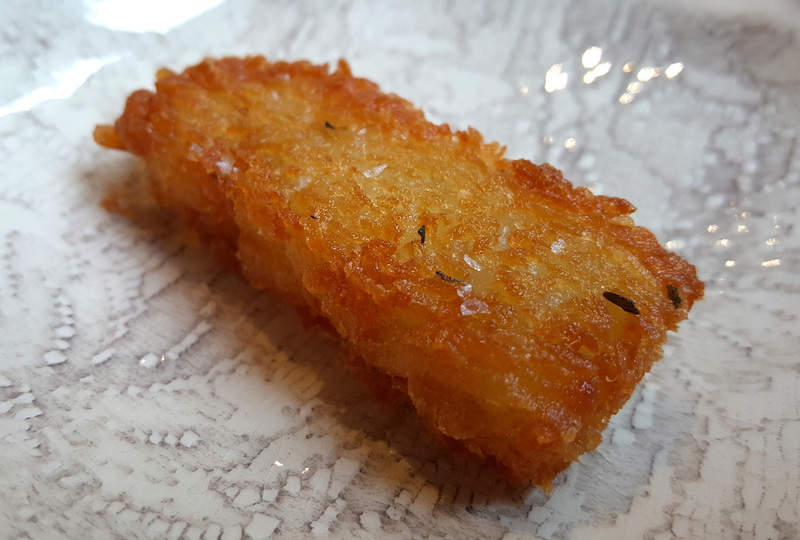 Erm… it`s a little well made crispy Potato thingy. In other words i have forgotten the name. A Tomato extraction with Parmesan. The Bread was a well baked Sourdough with a firm almost chewy texture. Great Crust but contained very little Salt which i thought was badly needed. 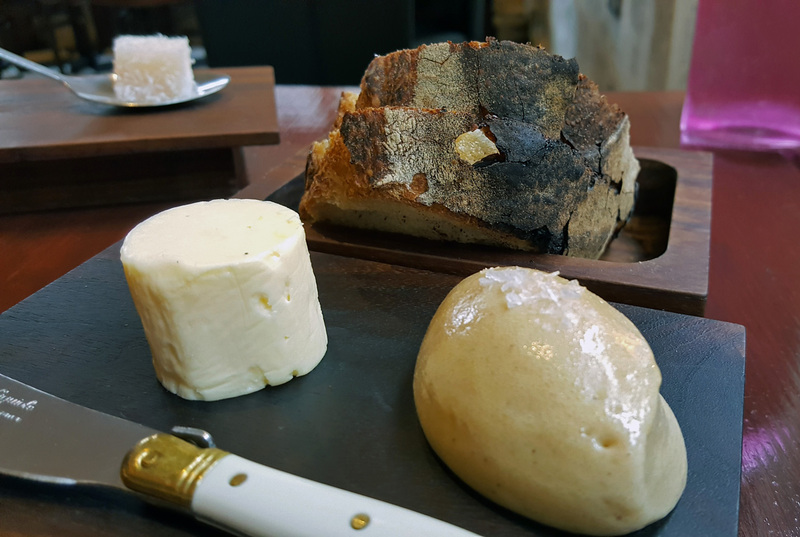 Two simple Butters accompanied the Bread , a good quality unsalted and a delightfully nutty ,very soft and light textured Beurre Noisette . 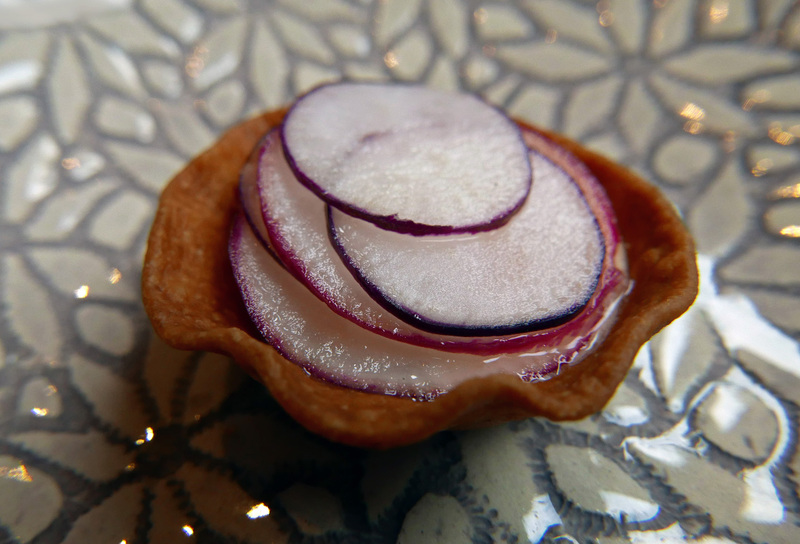 I would have been extremely happy to sit with a glass of wine , some Jamon and eat this Bread all night. 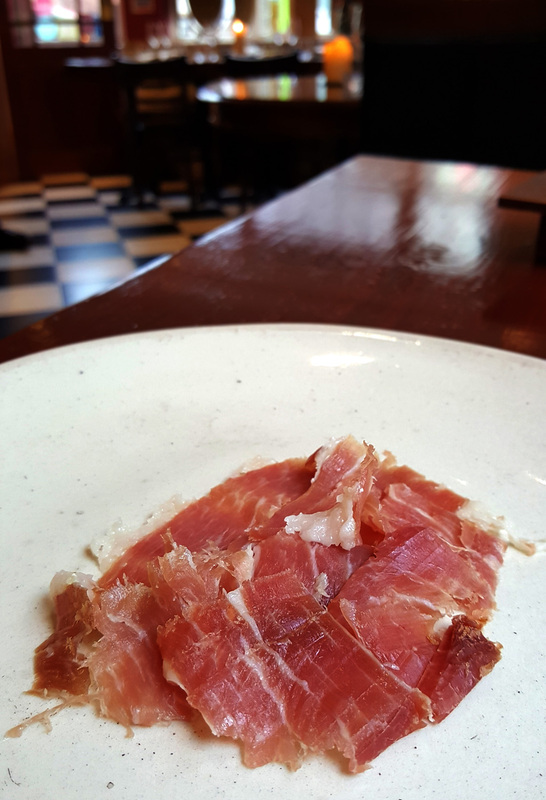 Jamon from Northern Spain. The Pigs in this region feed upon wild Fennel and herbs which comes through very subtly in the flavour. 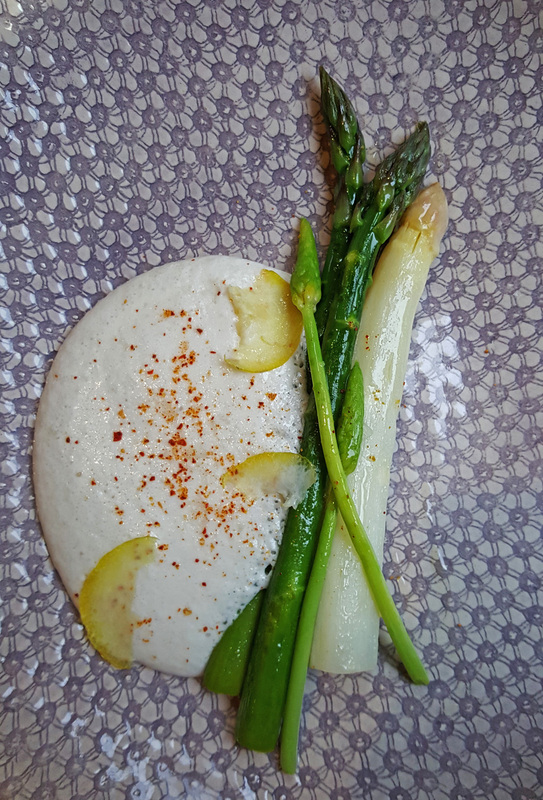 White , Green and Wild Asparagus with Almond Gazpacho and Lemon. 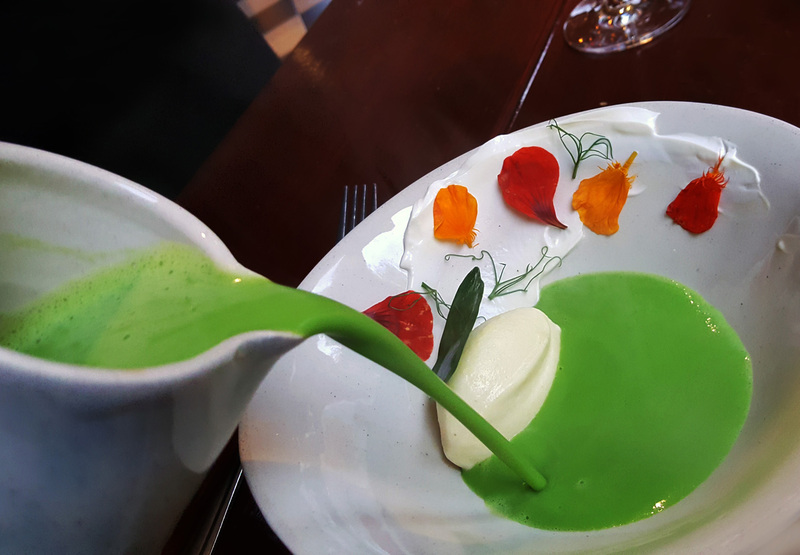 Sweet Pea Veloute with Nasturtium Ice Cream and Petals. 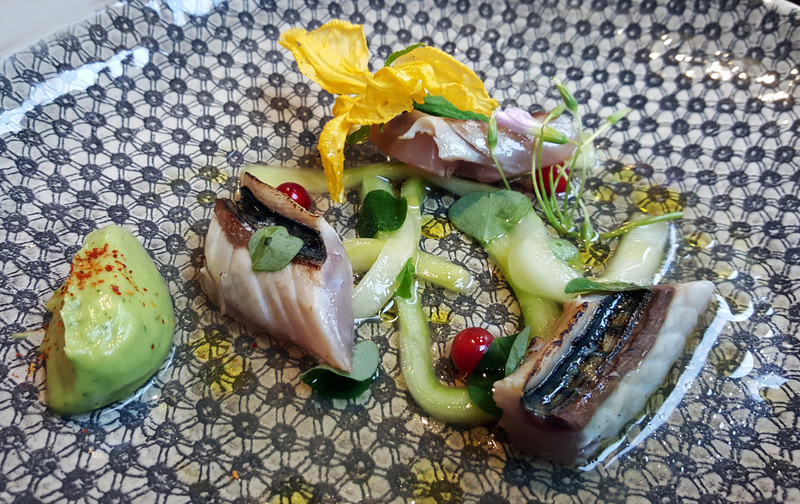 Blowtorched Mackerel , Tomato Water , Macerated Cucumber and Avocado Puree. 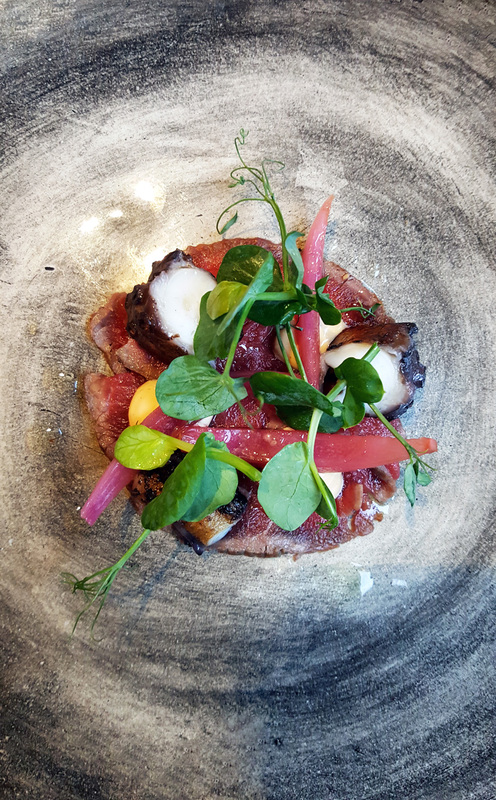 50 Day Beef , Char grilled Octopus , Pickled Red Onion , Black Pepper dressing and Red Eye Mayonnaise….wow , this was a winner. 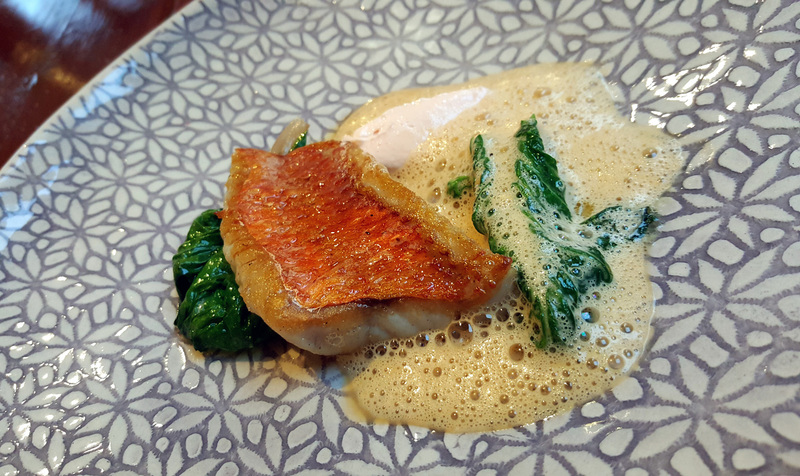 Red Mullet , Swiss Chard , Smoked Cod Roe Mousseline , Bouillabaisse Emulsion. Now here`s a first for me…. “Byrrh”. ( An aromatised wine-based apéritif made of Red Wine, mistelle, and quinine. Created in 1866 …..Thanks Google ). When I tasted it straight from the bottle I got “Damson Gin” straight away…..Nice marriage for Duck. 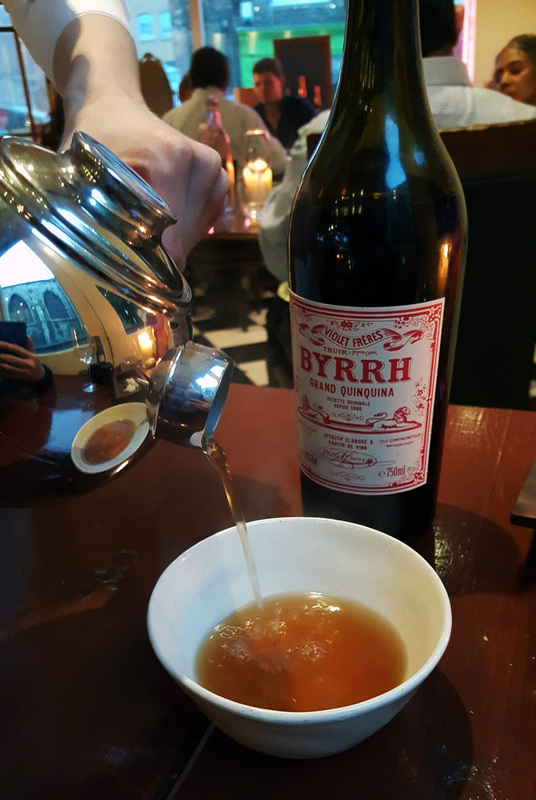 The intensely flavoured Duck Consomme was then poured into the bowl along with a splash of Byrrh. 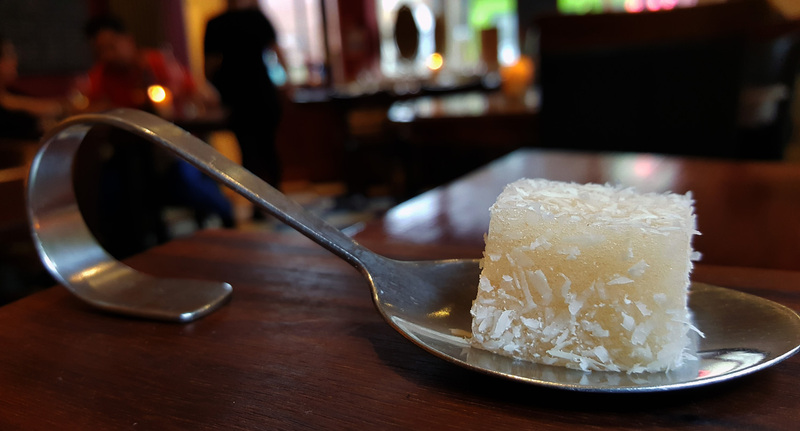 The two were mixed together and I was then left alone with no utensils to slurp the hot potion from the bowl….Lots and lots of meaty goodness and big robust flavours and a really nice little amusing and thoughtful course. 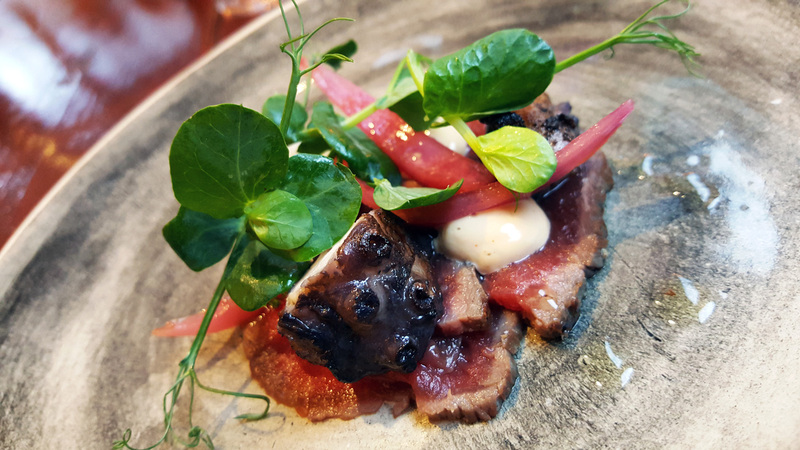 Duck Breast , Foie Gras Emulsion , Candied Beetroot , Pickled Onions , “Tasty paste” relish ( made with 25 secret ingredients which they wouldn`t divulge ) Most probably my favourite dish of 2016 so far….Duck , Foie Gras , a tart relish….amazing flavours to die for. This to me was the perfect plate of food and was cooked to perfection. 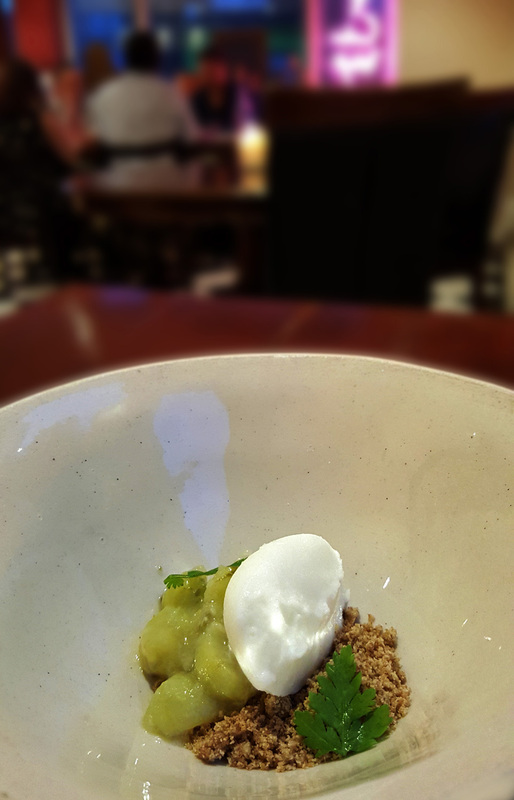 Gooseberries , Sweet Cicely , Meadowsweet ice cream and Crumble. 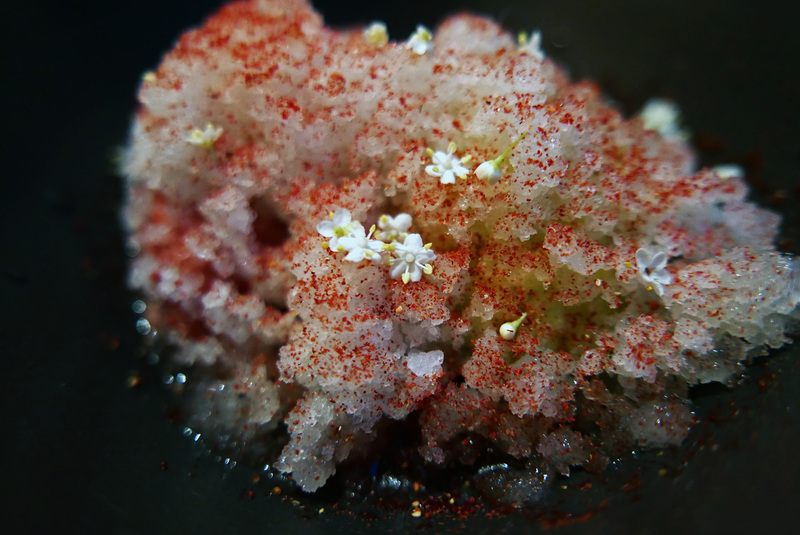 Strawberries , Elderflower and Rhubarb were all hiding underneath the ice crystals….Stunning flavours of Summer. The menu ended rather suddenly after this course and just after i was getting into a roll. I could very easily have done another half dozen courses at this point. There was no offer of Coffee or sweet treats and so i just paid up and headed back to my hotel , totally satisfied and would most definitely return again. To be honest i almost booked in again on the following evening. 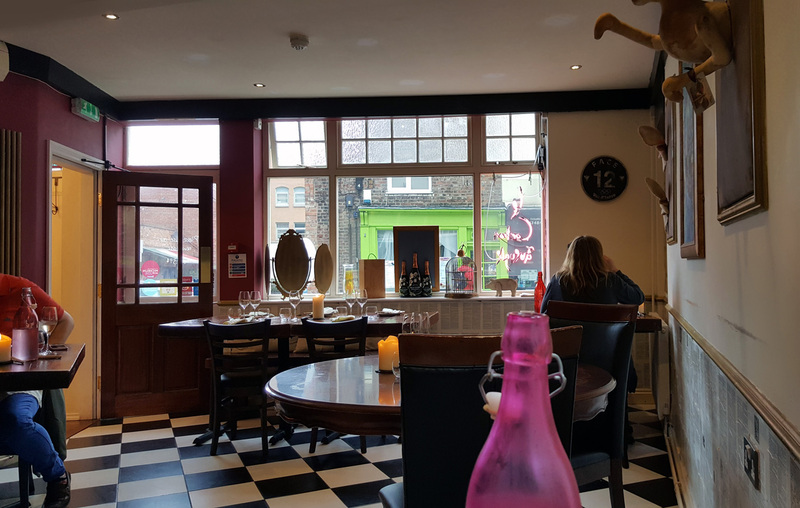 A lovely meal , friendly service and enjoyable in every way with a very unusual wine flight. 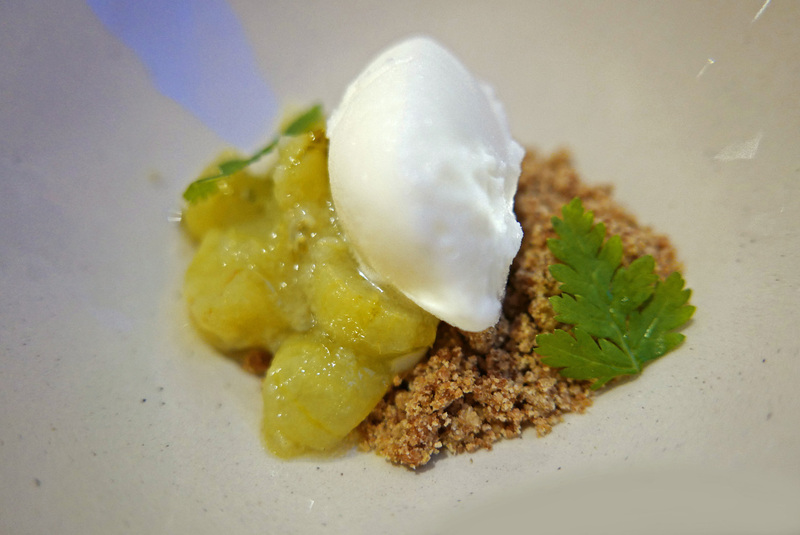 Priced very reasonably at £60 for the “Carte Blanche” menu and £40 for the wine accompaniment. 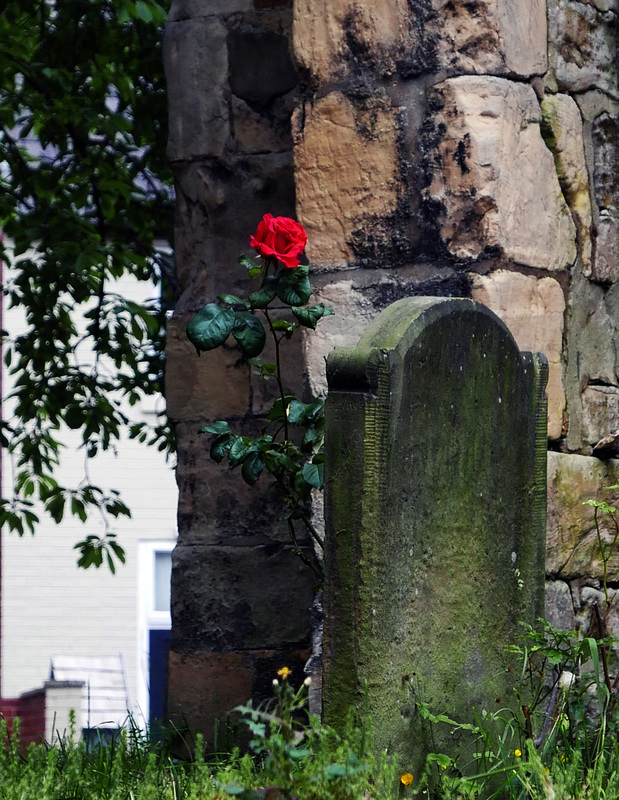 The view from my seat…..Haunting yet beautiful. Next Post The Grand Hotel – York.